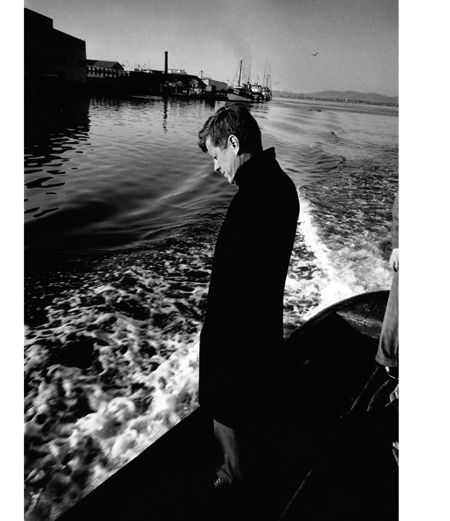 Thanks to an article published in British Airways’ in-flight magazine, High Life, I learned of a photo exhibition of the work of Jacques Lowe, who was a personal and professional photographer for John F. Kennedy. 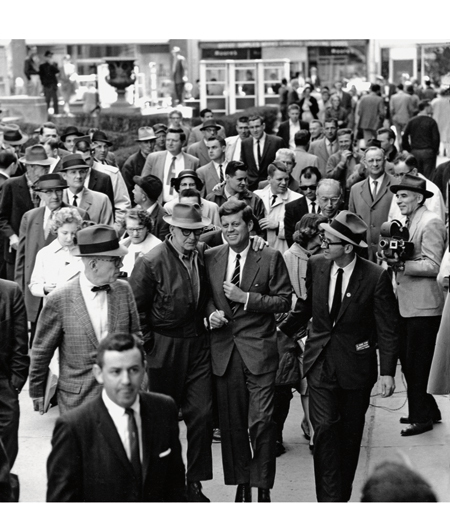 On display at the Proud Gallery, King James’s Street (Sloan Square), are a series of prints of JFK and other Kennedy clan members. These several dozen prints, all silver gelatin, are for sale, from £3,000-£7,500. Why so costly? Because they are the very last remaining prints by the deceased photographer. This is because Lowe’s archive of negatives was completely destroyed in the collapse of the World Trade Centre on 9/11. They were kept in a safe in the custody of JP Morgan. While the safe was recovered, its contents perished. As the gallery assistant explained to me, the prints labelled “vintage” are one-offs — a single, original print made at the time of its taking. A print that is numbered as part of a series is the last one. For example, 12/75 means that eleven previous prints were made — the one numbered 12 is it; there are no 13-75. What of the prints themselves? 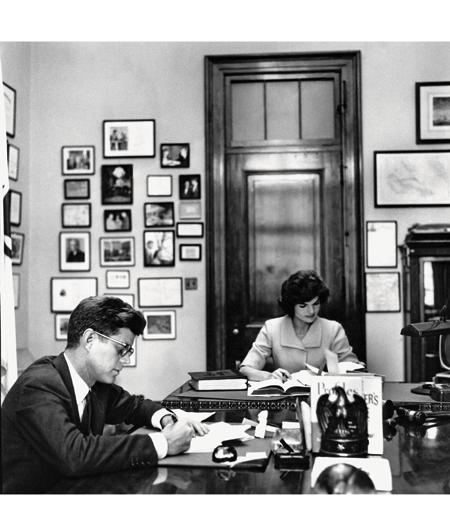 Many are familiar, not surprising as Jacques Lowe was the President’s official photographer. 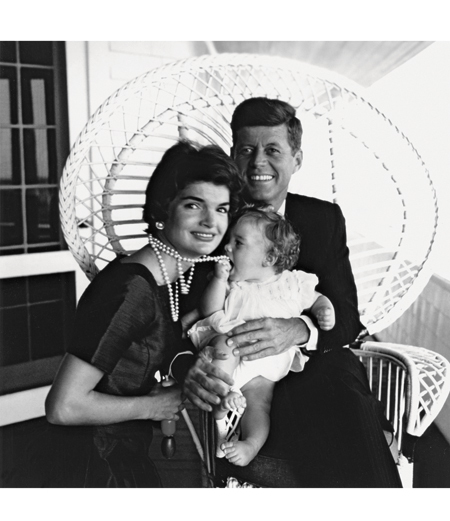 For example: a family photo of John and Jackie, with baby Caroline grabbing her mother’s pearl necklace; JFK standing in a boat, looking reflectively into the water; another of his anguish, hand on face, phone in other hand, upon hearing the news of the assassination of the Prime Minister of the Republic of Congo; and the solemn march of Robert, Jackie and Ted Kennedy, at JFK’s funeral. It reminded me of a personal photograph. We lived in California, and my father went to one of RFK’s outdoor political rallies. He got close to the platform, and took a wonderful image of Robert at the podium, with his left foot resting on it toes. Seeing this image as a young man must have made an impression upon me, not only because of the familial but also for the value of documenting history. I’ve had the opportunities to record public speaking by Presidents Carter, Reagan, Clinton and Obama. This exhibition at the Proud Gallery is accompanied by a beautiful, large hardcover book, My Kennedy Years: A Memoir, posthumously published. It is just as well, because while these final prints will exist in other people’s private possession, with the disappearance of the original negatives, there’s not likely to be another Lowe exhibition anytime soon. This exhibition runs until 24th November. I recommend the book as an eternal keepsake.